ISLETA GAMING PALACE 50 CENT TABLE GAMES CASINO CHIP OBSOLETE GENERATION - CIRCA MID TO LATE 1990'S Isleta Gaming Palace 50 Cent Casino Chip - Circulated casino chip has some table action wear. Weight about 8.0 grams. 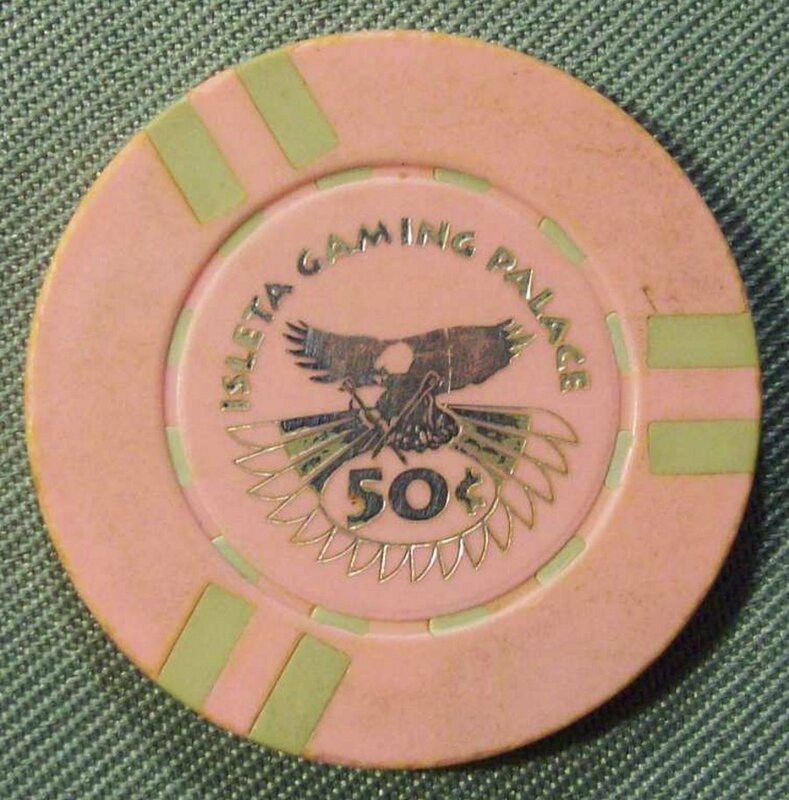 First Generation Casino Chip from the Isleta Gaming Palace just south of Albuquerque, New Mexico - now known as the Isleta Resort Casino. The item shown is one of the items available and representative of the item you will receive. 14 Day returns are accepted. Shipped Via USPS First Class Mail. Questions Or Concerns? Please Contact Me.